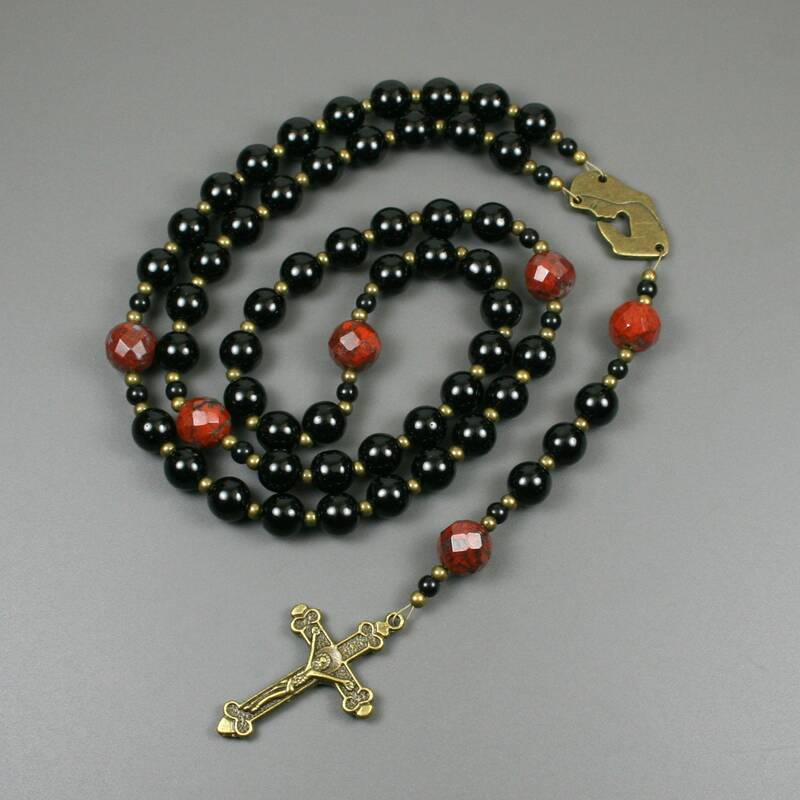 This rosary is made in the Roman Catholic style with five decades of ten beads. 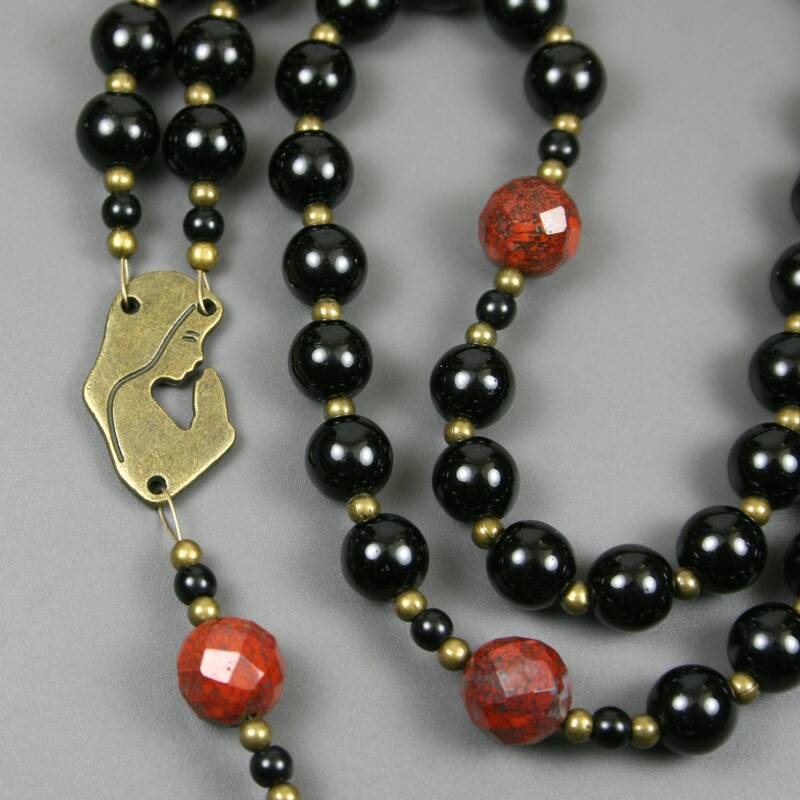 The decade beads are 8 mm obsidian beads. 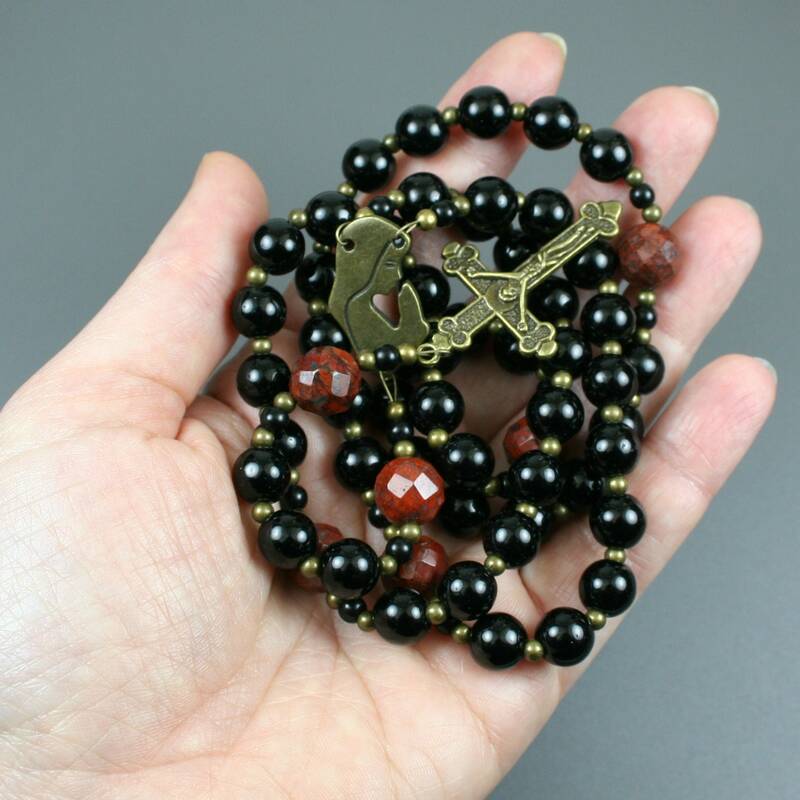 The larger beads are 10 mm faceted poppy jasper beads, and the small black spacers are 4 mm black obsidian beads. 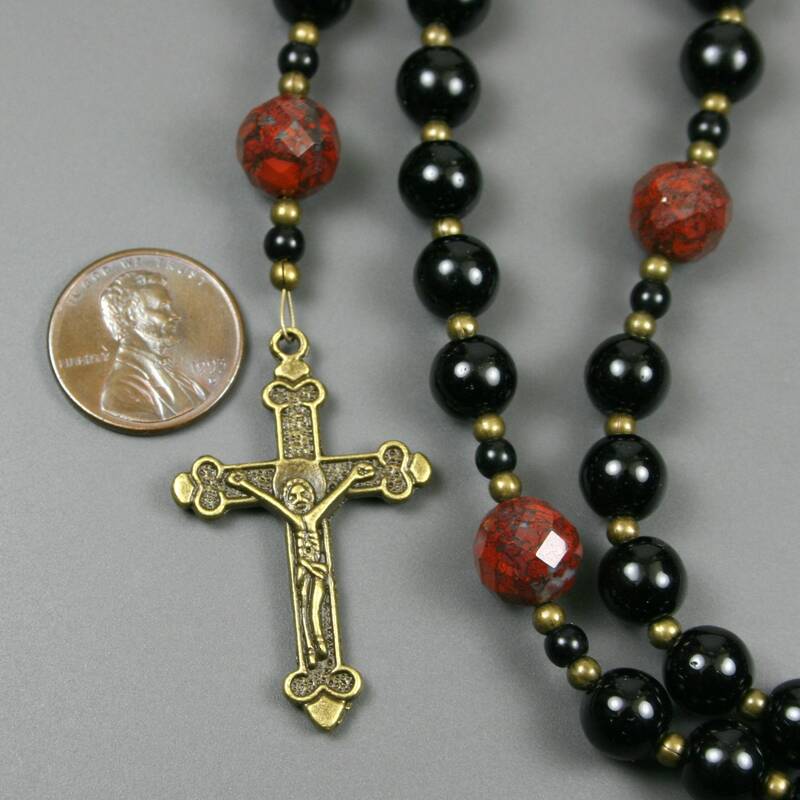 The connector, the crucifix, and the small (3 mm) connecting beads are all antiqued brass or antiqued brass plated metal. The entire rosary is strung on wire for sturdiness. The connector is double-sided an cut in the shape of a praying Madonna figure. 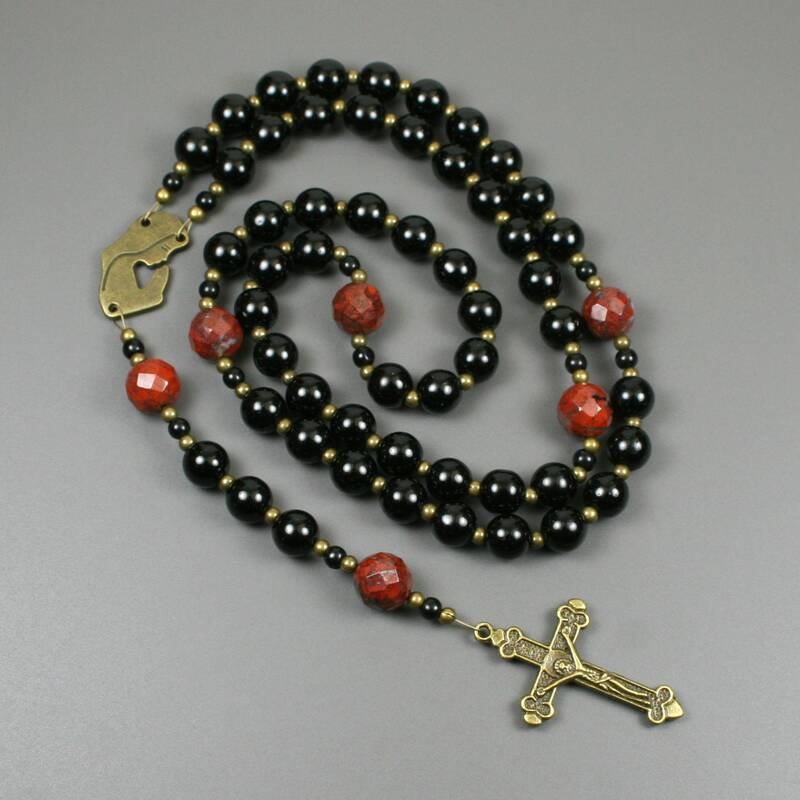 The crucifix is approximately 1.5 inches (35 mm) tall, and the full rosary is approximately 18.25 inches long when fully stretched out. Poppy jasper (a form of brecciated jasper) is a natural gemstone that consists of swirls of deep brown, brick red, and cream colors. This is a natural stone and may therefore vary in color and patterning from specimen to specimen. Brecciated jasper is known for promoting vitality, focus, and grounding.